Have you ever wondered how the appeals process works? If you have never been involved in a trial or court case, you may not be aware of the process. Below we have outlined the steps you need to take if you want to appeal a decision in a U.S. court of law. Once you have received the final judgment for your district court case, the first step in just about every state is to file a notice of appeal. 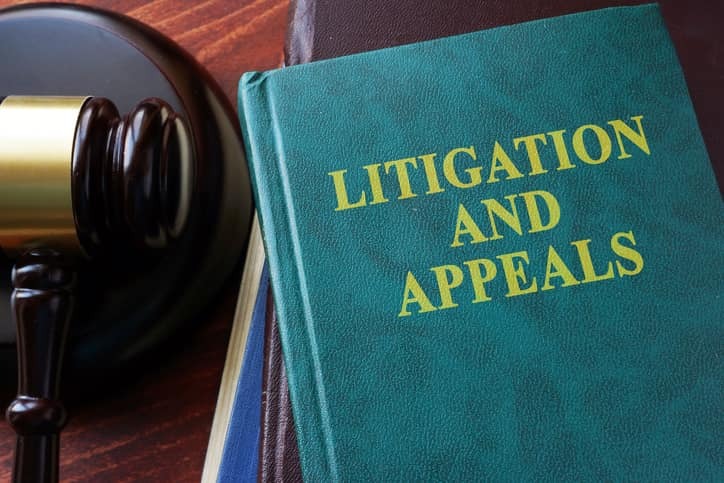 Filing a notice of appeal has to be done according to the state guidelines, and some states require you to file with the district court where your case was held. Other states require that you file with appellate court directly. The time limit imposed on filing varies from state to state. You will want to contact the courthouse in your jurisdiction for all the details so that you file on time and correctly. If you miss this step, you may lose your right to appeal. The name, address and phone number of all parties, including attorneys. Case number and docket number. Court where your case was held and the justice that presided. The errors you are bringing to light and want to be corrected. Usually, there is a fee when you file the notice of appeal; this fee varies by state. Sometimes you are responsible for making sure all other parties receive a copy of your notice of appeal and sometimes the court takes care of this piece. Be sure to check if it is your responsibility. In most cases, you will want or need to request a copy of the transcript of your original court case. There are usually fees associated with this, and sometimes you have to pay a bond up front. The courthouse has forms for requesting this transcript, and once that is done, they will take over and make sure it is sent to the appellate court clerk. Once you have filed your notice of appeal and requested the transcript, the court of appeals clerk will gather together all the pertinent documentation and collect briefs and other notes for the judges to review. This "record on appeal" will be your entire appeal. Table of authorities (other related cases). Arguments with references to case documents or precedent cases. Appendix with attachments of relevant, supporting documents. The appellant and appellee's briefs must be submitted within a specific number of days following the notice of appeal. Then the appellant has the option of filing a reply brief as well in some states. Check with your state courthouse for the timing details. In some states, you are also allowed to request or on occasion you will be required to prepare an oral presentation. You are given a short window of time ranging from ten minutes to thirty to present your case. These oral arguments can help to support your argument by stating complex ideas difficult to convey through the brief process. After all the paperwork has been collected, and the oral arguments presented, a panel of three judges will review everything and decide the case. Only two of the three judges need to agree on a final decision. They may decide to uphold the original verdict, overturn (or reverse) it or remand the case back to the district court for another trial. Once the judges have come to a decision, called the "final opinion" they will publish it in writing. You will receive notice in the mail or electronically. Sometimes, you can look these decisions up online. It can take the panel of judges anywhere from a few days to months to come to a decision, based on the complexity of the case. If you are still not happy with the court's decision once your appeal process is final, you can appeal your appeal by petitioning for the case to be reviewed again. If you want to go higher, you can also request it be taken to the Supreme Court.